Due to the stock available, the corner posts ended up being 2x2's and other dimensions were adjusted accordingly. I had to make adjustments to a few other pieces as well based on the stock that was available at Anderson McQuaid. 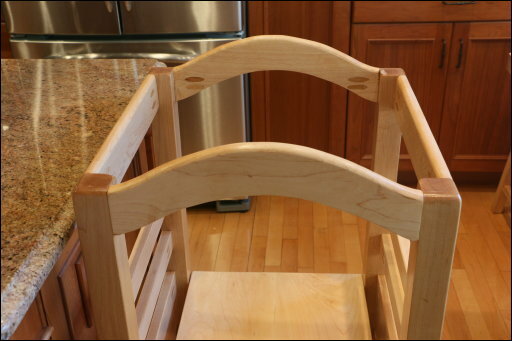 Based on someone else's idea, I also put in slats to allow the adjustable platform to be moved up to be a counter-height high chair. I will need to put in safety straps before using it this way, however. I routed the top to give it a more finished look. 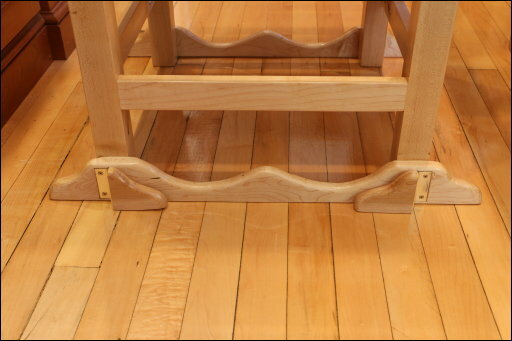 I also made more decorative feet to match the feet I added to our kitchen nook table a few years back. 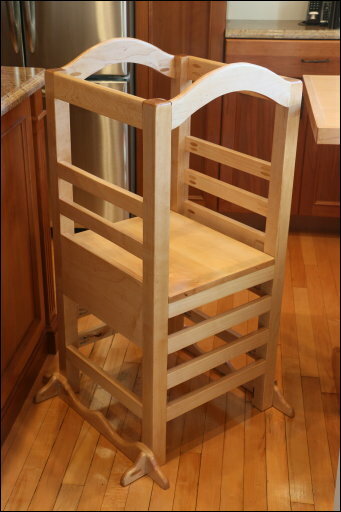 The anti-tip feed on the side facing the counter can fold inwards to allow it to get closet in to the island. I used a Kreg Jig for the first time to create the pocket holes and it worked very nicely and made assembly fairly straight-forward. Clamping in-place prior to screwing in turned out to be critical. 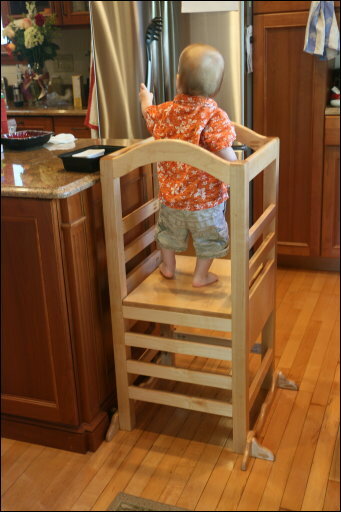 The end result is quite sturdy. The tower is finished with Zar's Honey Maple and then three coats of General Finishing's Toy Maker's Finish.